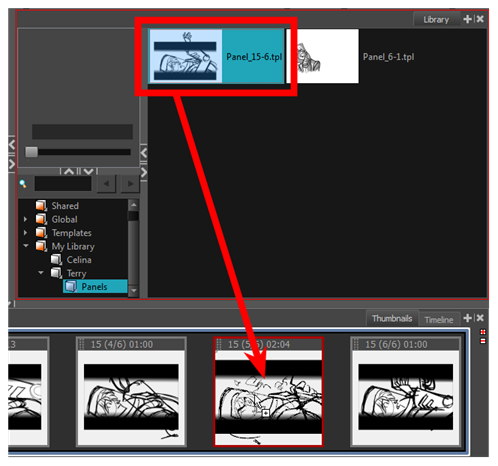 A template is a copy (instance) of the artwork stored in the library which you can reuse in different scenes. 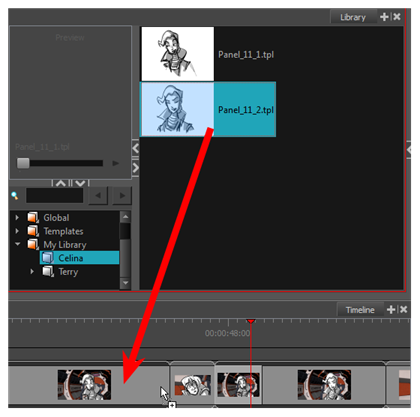 Once a template is stored in the library, you can access it from any project, as many times as needed.When you import the template, a copy of the artwork is created in the project, but is not linked to the template in the library. 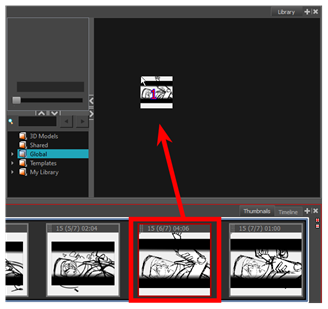 This mean you can modify the artwork inside the project without affecting the template it came from. 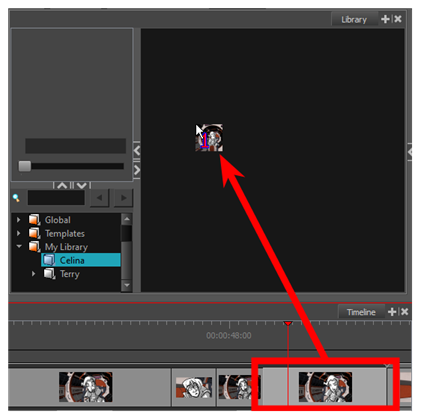 You can create a template from the Stage or Thumbnails view.